NCH recently launched an all-new YouTube channel. Subscribe to the new channel for content directly from NCH and its members. 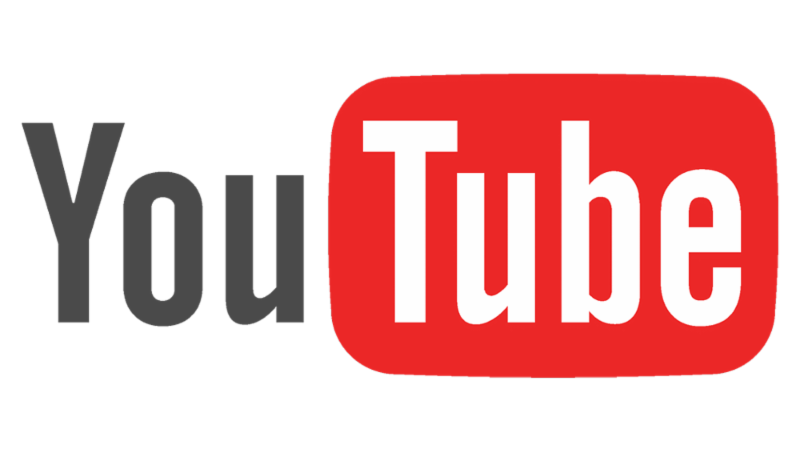 Please note, no new content will be added to NCH's old YouTube channel. If you previously subscribed to NCH's old channel, you'll need to subscribe to the new one to continue getting updates on NCH's latest video content. 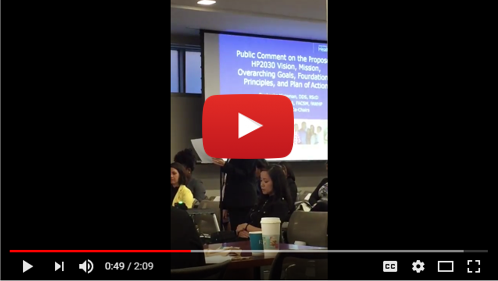 On September 5 and 6, National Center for Homeopathy (NCH) Board of Directors members, Glenna Tinney and Tina Quirk, attended the DHHS-sponsored Healthy People 2030 meeting in Washington DC. This was a meeting of the Secretary’s Advisory Committee on Prevention and Health Promotion to present the draft of their work in creating the mission, goals, and actions for the decade of 2020-2030. It was also an opportunity for them to receive public comment from advocacy organizations and other individuals. Their overall objective is to improve the health of all Americans. The Healthy People 2030 draft has few references for using integrative health disciplines and approaches. NCH’s goal for attending the meeting was to promote the inclusion of homeopathy and integrative health measures into the national prevention and health plan. Oral comments to this point were given by Ms. Tinney at the meeting. Our second goal in attending was to observe the government in action and learn more about the process that leads to the creation of national health policy. This is an ongoing goal of the NCH Public Policy and Advocacy Committee, so we can have more effective input and influence and meet the NCH mission of promoting and broadening consumer access to homeopathy. NCH is asking our members to contribute written comments to this committee. We have outlined proposed comments below that you can adapt in your own words. You can insert one or more of these comments into the general comments section on the online form. This is a way for NCH members to exert influence in the creation of the national health policy, and importantly, to make “homeopathy” a familiar word and health care option with national health policy makers. Watch the video of Glenna Tinney and Tina Quirk in action, advocating for homeopathy. documentary film about homeopathy will be shown in U.S. theaters. screenings over the next several months in an effort to drive awareness about homeopathy and NCH. NCH is a community of people who are either passionate about homeopathy or have dedicated their professions to homeopathy. This documentary will change our game in the most exciting of ways. Just One Drop tells the little-known story of homeopathy. The film aims to dispels myths and encourages audiences to reset and rethink about homeopathy. It sheds light on the benefits of homeopathy and ultimately supports a passionate community, of which NCH is at the forefront. Nov 2, Philadelphia, PA Link coming soon! Movie Captain and host a screening near you. You are our amplifiers to help the film reach all corners of the U.S.
. Not interested in hosting a screening? No problem. You can support this exciting new endeavor by sharing social media messages and promoting NCH's screenings. Check out the useful marketing toolkit. NCH applauds member Ronald Whitmont, MD, for his contributions to a recent article published by US News on the increasing number of medical schools incorporating integrative medicine into their programs. The article, "Med Schools Adding Integrative Medicine Courses," details the differing views on complementary and alternative medicine and its role in traditional medical training programs. Advocates support giving students an overview of options available to patients to be better able to advise and guide patients on all their options, while critics question the science and efficacy of practices like acupuncture and yoga. Ronald's commentary contributed to a meaningful discussion about the role of medical education and the provider-patient relationship.
. Community members use these guides as teaching materials to educate students in a classroom setting or study group. 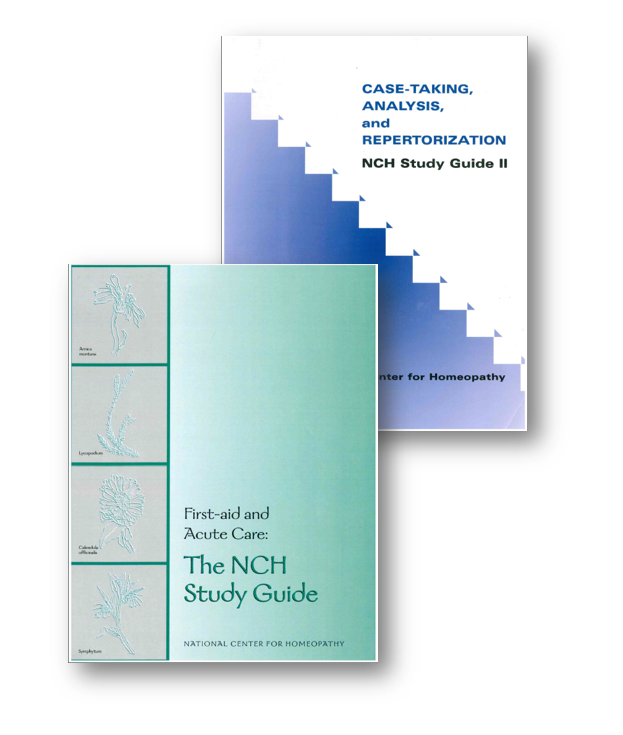 If you are interested in these guides for yourself or have an upcoming class to teach, please visit the NCH store on our website. Twenty or 30 years ago, it was uncommon to hear of people having hip replacement surgery. Now it seems as common as getting your tires changed! the most common surgery covered by Medicare. In 2010 there were 2.5 million people living with artificial hips. As baby boomers grow older and live longer, hip replacements will become ever more commonplace. So it’s nice to know that homeopathy, alongside other naturopathic approaches, can be used to good effect to support hip replacement patients—before surgery, immediately after the operation, and during the rehab process—to help ensure the procedure is as successful as possible. A subscription to Homeopathy Today is available exclusively to NCH members. Joining NCH as a member is a wonderful way to deepen your understanding of homeopathy and connection to the community. In addition to this highly acclaimed magazine there are other valuable benefits. But more than that, membership dues help us fulfill our mission to promote health through homeopathy and raise awareness. and visit the online store to get your complimentary subscription started today! On August 1, 2017, the National Center for Homeopathy warmly welcomed Deborah A. Dupnik as Executive Director. 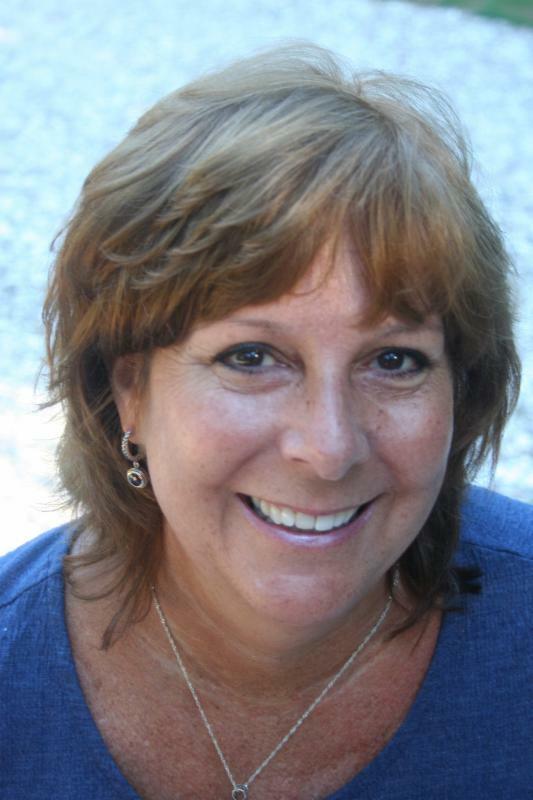 A New Hampshire native, Deb currently resides in Shamong, New Jersey, with her husband, Tom, one dog, and two cats. Their two adult daughters, one an architect and the other a biomedical engineer, live in Boston. Deb has earned a Bachelor of Arts degree in Microbiology, a Certified Association Executive professional certification from the American Society of Association Executives, and an Advanced Certified Customer Service Manager certification from the Customer Service Institute of America. She comes to NCH from the American Society for Histocompatibility and Immunogenetics and from The Society For Biomaterials; she served as Assistant Executive Director for both organizations. 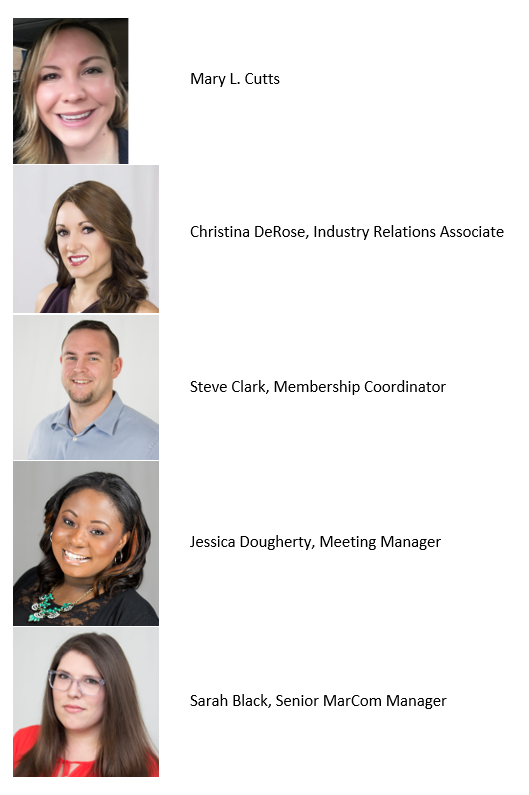 Deb worked closely with each organization’s executive director and board members to ensure optimal board function. She helped to guide the organizations’ missions and strategic plans and supported the directors to ensure the financial and operational success and growth of each organization. Deb would like to be a part of that change! Please join us in welcoming Deb to the National Center for Homeopathy and into the larger homeopathic community, locally and globally. Call Lia at (505) 474-4917 to register. Nurses earn 6 Continuing Education Hours for this course. to register. Nurses earn 6 Continuing Education Hours for this course. The CHC has an established recertification process structured to maintain and expand the competencies of professional homeopathic practice, safeguard quality services for the general public, and reinforce professionalism with homeopathic and other healthcare communities. Certified Classical Homeopaths are required to recertify annually by November 30th. Those practitioners who received the CCH credential in 2017 need not recertify until 2018.
, and follow the step by step instructions. A minimum of 15 CEUs are required with signed attestations and an updated profile. This helps the CHC make sure that you receive information and also helps consumers connect with a certified practitioner. Beginning with the Nov. 30, 2018 recertification deadline (i.e., for CE activities completed between Dec 1, 2017 through Nov 30, 2018), activities such as homeopathic conferences, webinars, seminars, and other, similar homeopathic education-related CE activities must be approved by ACHENA. For this year’s recertification, CEUs do not need to be approved by ACHENA.